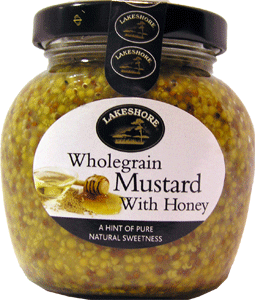 Made of only the finest ingredients in Ballinderry, Nenagh, Co. Tipperary, with no artificial flavors, colors or preservatives, Lakeshore's mustards are the premium mustards in Ireland. Only natural spring water, old family recipes and some varieties with stout and whiskey added, produce the savory flavor of this fine product. 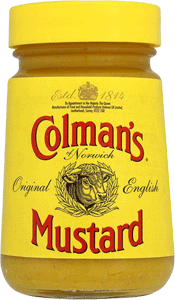 They are the perfect accompaniment to any meat of your choosing. 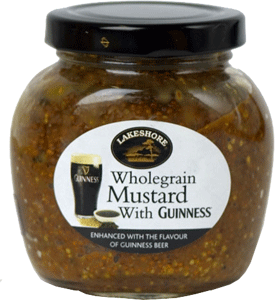 This exciting mustard has been created using the finest ingredients and fresh spring water from the heart of the Irish countryside. 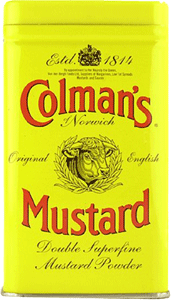 Colmans English Mustard carries with it a strong tradition established in 1814 for making delicious mustards which adds that something special to any dish. 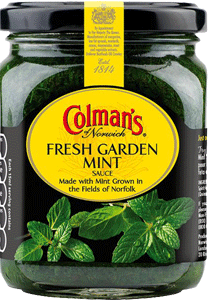 Colmans Fresh Garden Mint is absolutely delicious as an accompaniment to pork or beef, bringing out the flavor of the meat.